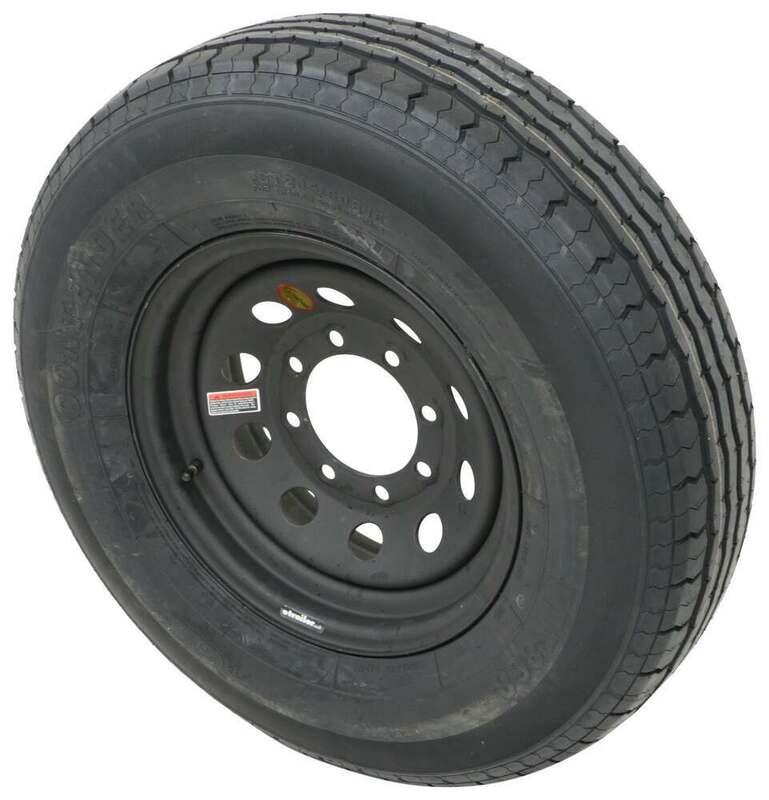 Radial tire has 10-ply rating and 3,520-lb max load at 80 psi. 16" x 6" Steel wheel has an eco-friendly ESR finish for better saltwater protection than galvanized wheels. Complimentary roadside assistance included. Lowest Prices for the best tires and wheels from Taskmaster. 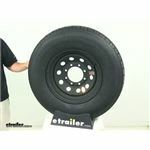 Contender ST235/80R16 Radial Tire w 16" Steel Mod Wheel - 8 on 6-1/2 - LR E - Black ESR Finish part number AC16R8DMM can be ordered online at etrailer.com or call 800-298-8924 for expert service. 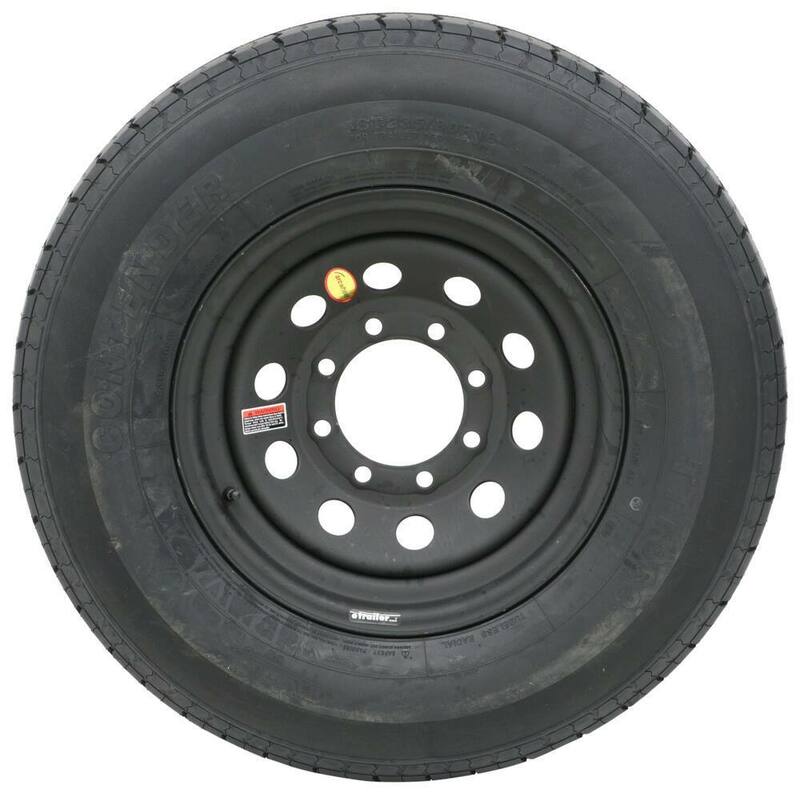 Radial special trailer tire has a ply rating of 10 and a 3,520-lb maximum load at 80 psi. Great for highway use. Fits 16" wheels. 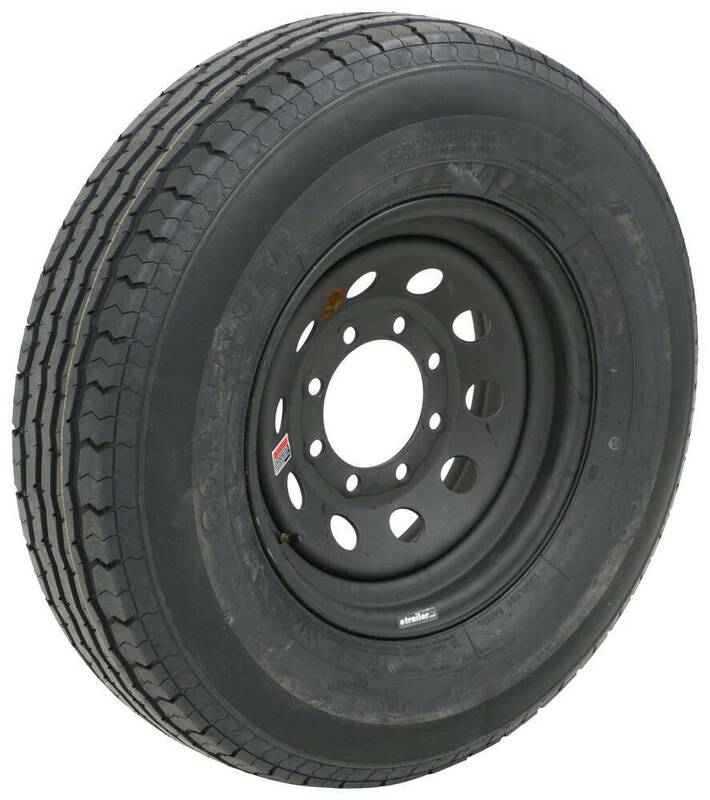 Radial tire has a ply rating of 10 and a 3,500-lb maximum load at 90 psi. 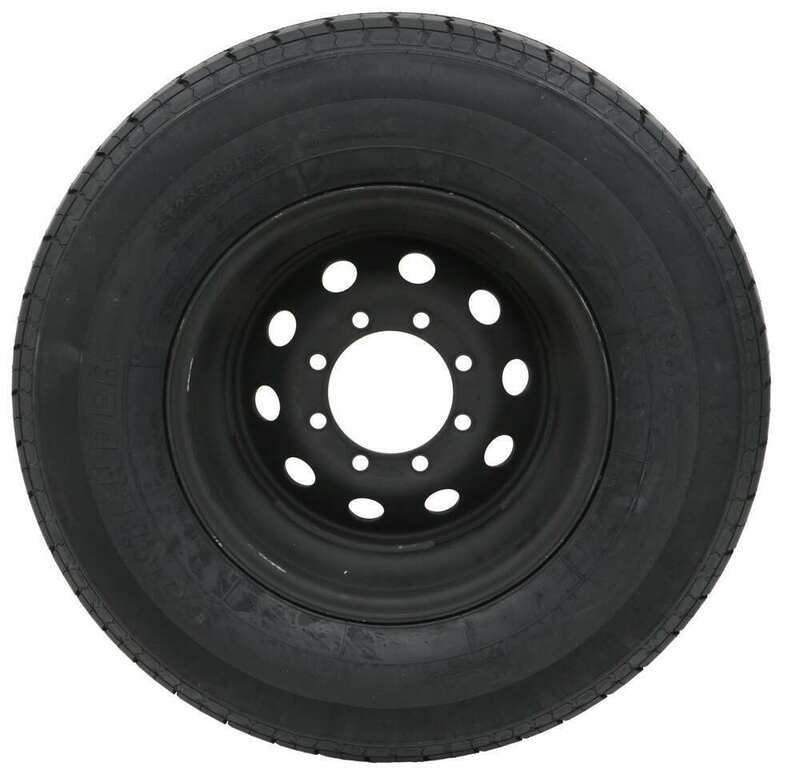 The 16" x 6" steel trailer wheel has a 6 on 5-1/2 bolt pattern. Black powder coat finish provides rust resistance. Meets DOT specifications. Speaker 1: Today, we're taking a look at the Contender ST235/80R16 radial trailer tire, with a 16 inch steel mod wheel. 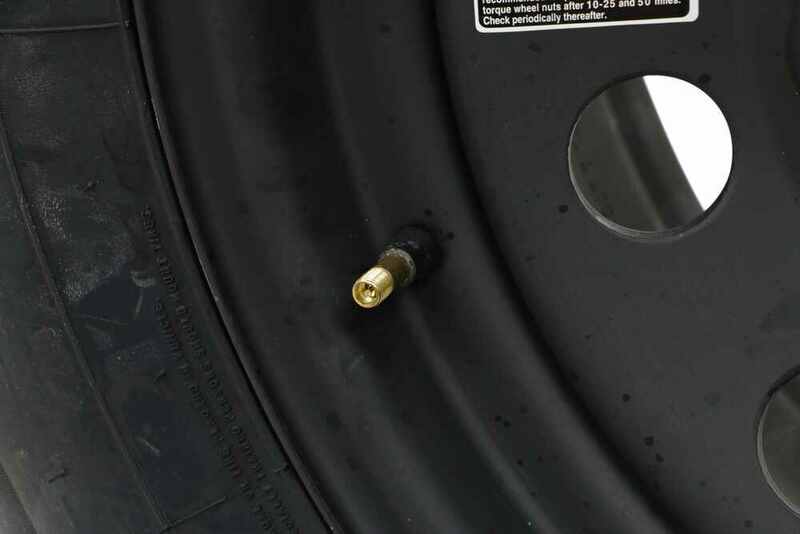 This tire and wheel assembly is ideal for boat trailers, stock trailers, utility trailers and campers. 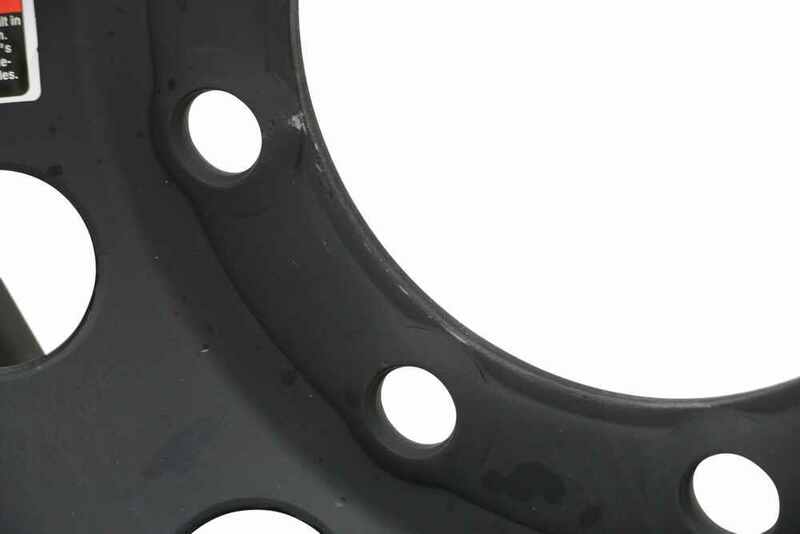 This sturdy steel wheel has a modular design, that's just the circular hole design, compared to stoke design.The unit features extreme salt resistance finishing to protect the wheel from the elements better than galvanized finishes, so the wheel has a matte black finish sprayed on over an ecoat primer. 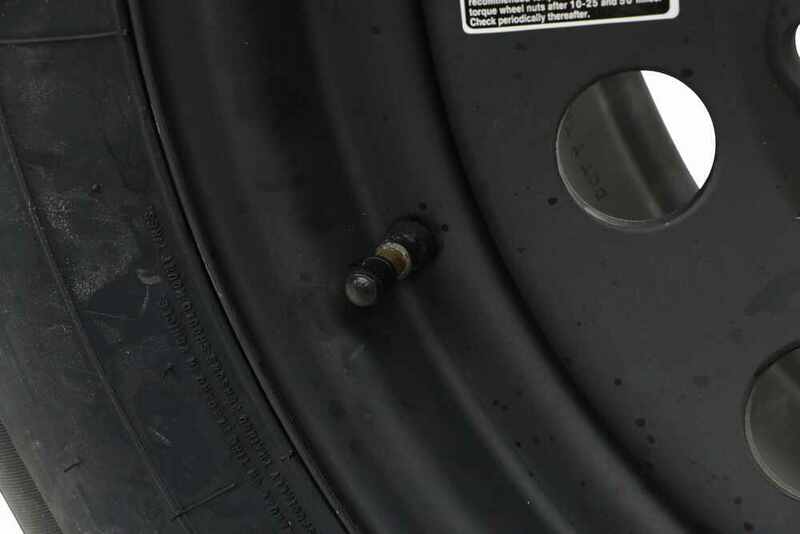 Excellent corrosion resistance with the salt spray rating of more than 700 hours, and the finish is applied through an environmentally friendly or safe technique.The unit features an improved torque retention technology, which helps keep the wheel securely in place on your trailer, so the stud holes are uncoated, and beveled to offer better claret push retention. Now, this radial tire is constructed with double steel belts and double polyester cords. It's great for highway use, features nylon tread inaudible 00:01:04 overlays to help prevent tread separation, it has your tread depth bars. 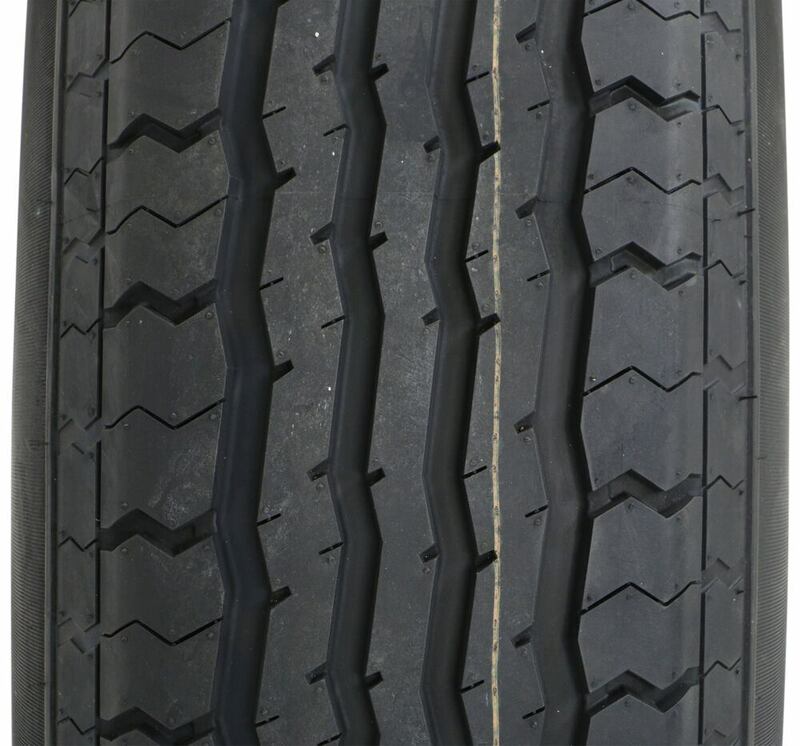 They offer a quick visual indicator of tread wear.The special trailer tire design couples the strength of the bias tire with the durability and stability of a radial tire. This is created specifically for trailers and not intended for use on other vehicles. It also comes with a two year, platinum plus warranty, which includes emergency tire change service 24/7, as well as other benefits. The assembly meets Department of Transportation specifications and exceeds federal motor vehicle safety standards.When it comes to the dimensions of the rim, this is a 16 inch diameter rim, it measures six inches wide. The bolt pattern is eight on six and a half inches, and it uses a wheel bolt size of a half inch by 20, a 9/16 by 18. The capacity on the wheel is 3750 pounds, and the pilot hole diameter, that's the diameter of the center of the wheel right here, is 5.12 inches.It does not offer an off set. 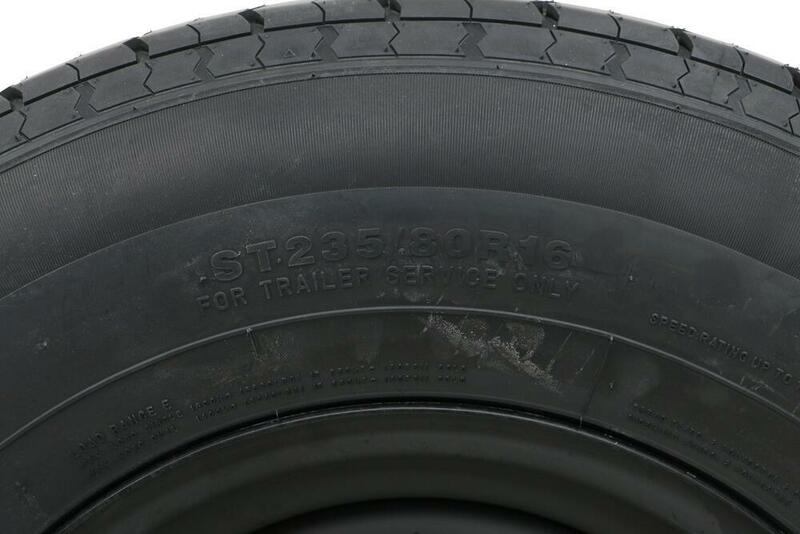 The tire size is printed right here on the outer wall of the tire, and it says it's an ST235/80R16. Section width is 9.25 inches, and the outer diameter when properly inflated is 30.79 inches. 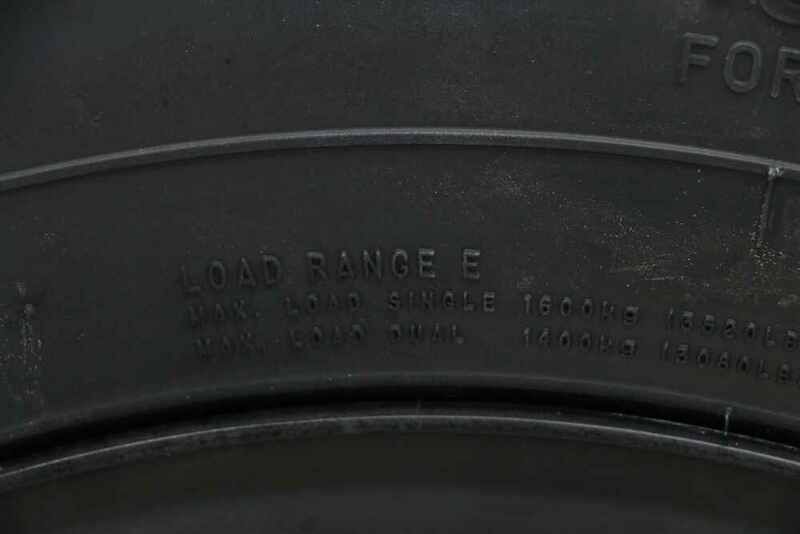 The tire has a load range E, which gives it a 10 ply rating, and a maximum load of 3520 pounds at 80 psi, and it does have a speed rating, which is located right here. 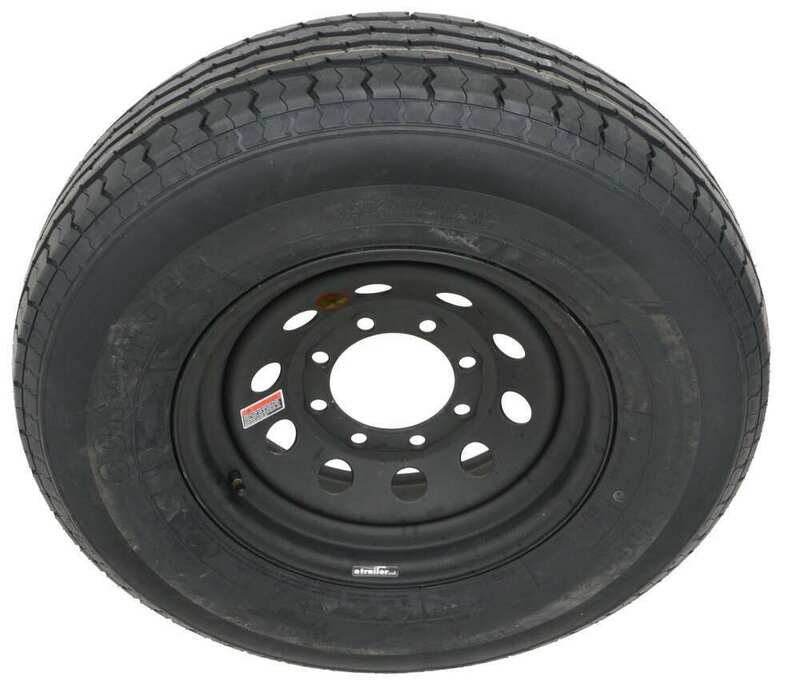 So, speed rating, up to 81 miles per hour.That's going to do it for today's look at the Contender ST235/80R16 radial trailer tire with the 16 inch steel mod wheel..
Order: RelevanceNewestRating - High to LowRating - Low to High Radial tire has 10-ply rating and 3,520-lb max load at 80 psi. 16" x 6" Steel wheel has an eco-friendly ESR finish for better saltwater protection than galvanized wheels. Complimentary roadside assistance included.